A Very Productive Year, with Progress on the Horizon for 2015! Happy New Year! We are excited to begin 2015 with the launch of our brand new website! We had a productive 2014, working towards the development of wildlife deterrence systems incorporating new advances to create more effective non-lethal deterrents and we are looking forward to having an even more fantastic 2015! 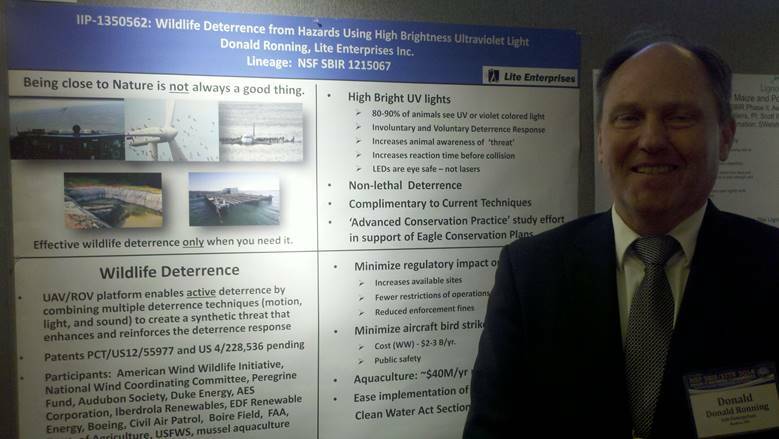 Lite Enterprises was awarded a National Science Foundation SBIR Phase IIP grant entitled “Wildlife Deterrence from Hazards Using High Brightness Ultraviolet Light”. For the study, we observed three avian species; Osprey, Red-tailed Hawks, and Common Eiders foraging in their natural habitat, and we were able to observe and document the successful effects of light deterrence to influence the wild birds’ behavior. In December, we presented a poster highlighting the approach of non-lethal deterrence of Red-tailed hawks, Osprey, and the Common Eider from data collected from our 2014 field studies at the AWWI/NWCC Wind Wildlife Research Meeting in Broomfield, CO.Our poster resulted in several productive and lengthy discussions. We also found Dr. Taber Allison’s (of the American Wind Wildlife Institute) work on eagle mortality and mitigating eagle take to be especially fascinating, and we wish him much success. We traveled to Atlanta, GA and attended the 2014 Bird Strike Committee USA Meeting in August to participate in Mike Smith and Dr. Brain Washburn’s excellent hands-on training session on ‘Managing Raptors at Airports’ that can often pose a serious risk to the safety of civil and military aviation. The Bird Strike Committee USA noted that bird and other wildlife strikes to aircraft are estimated to cause over $900 million in damage to civil and military aviation annually. Furthermore, these strikes to put the lives of aircraft crew and passengers at risk. 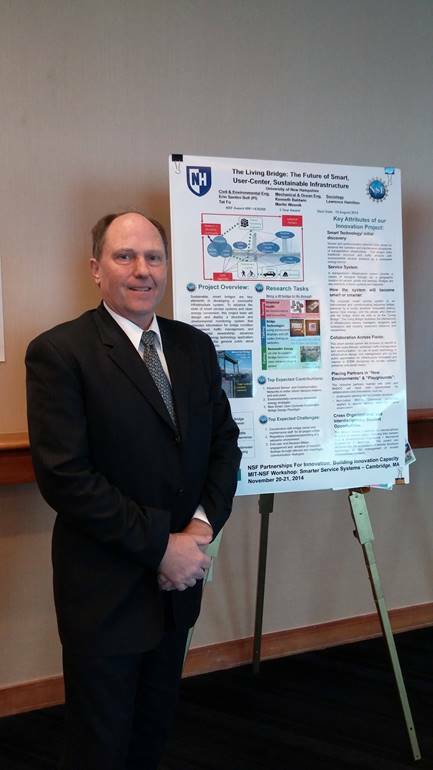 We also attended the NSF-2014 SBIR-STTR PHASE II Conference in May in Baltimore, MD. The conference focused on small businesses that received NSF awards to share their technical and commercial success with their NSF Program Directors, potential investors and strategic partners. The keynote speakers included John Bacon, Founder and CEO of iP2Biz LLC. We also enjoyed an incredibly informative mini-symposium on Crowd-funding for Early Stage Technology Companies. The MIT-NSF Workshop: Smarter Service Systems through Innovation Partnerships and Transdisciplinary Research was held at MIT, CAMBRIDGE, MA in November 2014. We were excited to learn about different technology- driven innovations in service systems to have enormous potential economic impact. The topics discussed explored innovative services involving smart technologies that have the potential to become a means to address important social challenges. 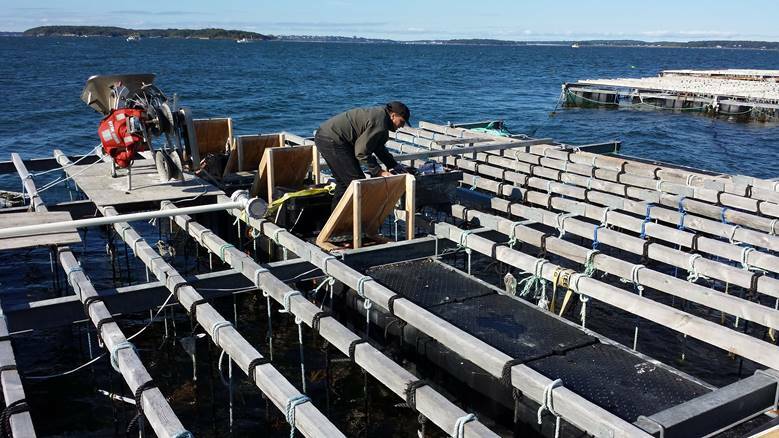 We presented a paper, “High Brightness LEDs Deter Eider Predation at Mussel Rafts”, at the Northeast Aquaculture Conference & Exposition in Portland, Maine this month. This paper was also co-authored by Dr. Carol Foss of the NH Audubon Society.The event explored a wide range of exciting advances in various aquaculture research topics including controlled farming of fresh water and marine finfish, shellfish, and some aquatic plants. 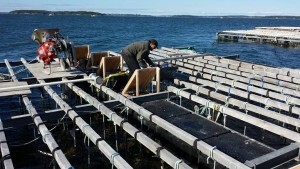 A large international contingent was present, as the conference was held in association with the Aquaculture Association of Nova Scotia, Prince Edward Island Aquaculture Alliance, and Atlantic Canada Fish Farmers Association. Special thanks to everyone who showed great interest in our research on reducing Long-Line Mussel Predation Losses Due to the Sea Ducks. Most importantly, looking forward, we are excited to introduce Non-Lethal Deterrence (NLD) devices for sale in the upcoming months! 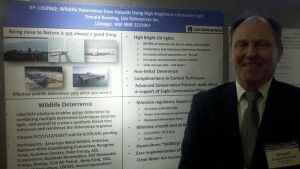 Thank you for your interest in Lite Enterprises and supporting non-lethal wildlife deterrent solutions. We look forward to working together and laying foundations towards a safer and more harmonious relationship between man and his natural environment.